Efforts to reintroduce an extinct species of bumblebee to the UK received a boost this month with new queens released into the wild. 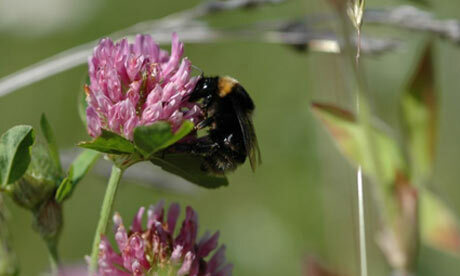 The short-haired bumblebee was once widespread across the south of England but it vanished in 1988. However, have collected a healthy stock of the bees from Sweden, and are reintroduced them to the RSPB’s Dungeness nature reserve, home to most of the UK’s seven species of rare bumblebee. The first generation of queens collected and released last year struggled in the cold wet conditions last summer, and it is hoped the new queen bees will bolster the colony. More short-haired bumblebees joined them this month. The loss of the short-haired bumblebee was caused by the dramatic decline of wildflower meadows that occurred after World War II as agriculture intensified. It is estimated that 97% of Britain’s flower-rich grasslands, which the bees needed to forage and thrive, have vanished over the past 70 years. This entry was posted in Bees, Nature, Wildlife and tagged Dungeness nature reserve, RSPB. Bookmark the permalink. Hope something is being done, then, in partnership with this excellent scheme, to protect and reinstate necessary habitat. It also needs to be supported by education/public relations so that public know what, why and how they/we can help. Yes you’re right, there does need to be greater education and awareness about this kind of project to get more people involved and engaged. Hopefully more of the media will pick up on it.